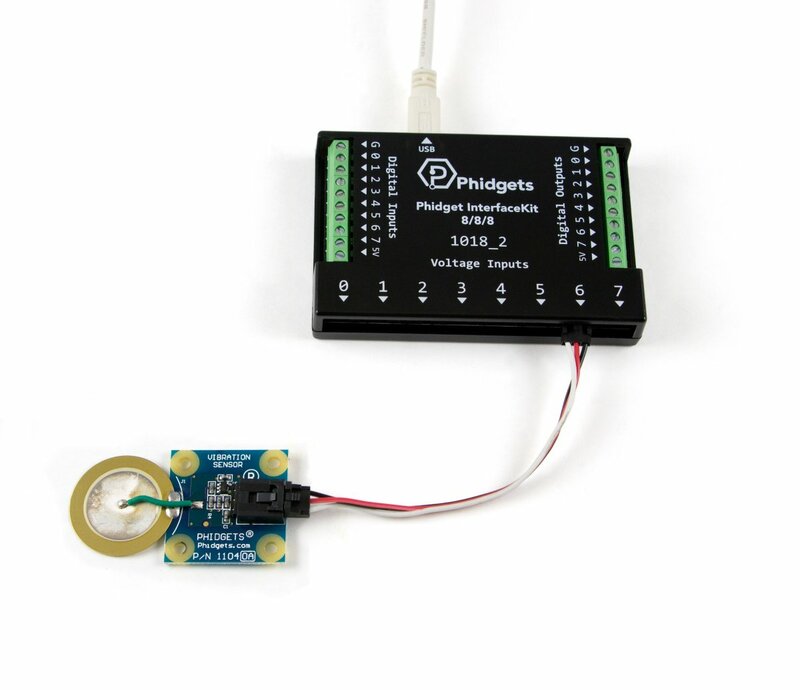 If you need to measure vibration, try using the MOT1100 - Accelerometer Phidget. 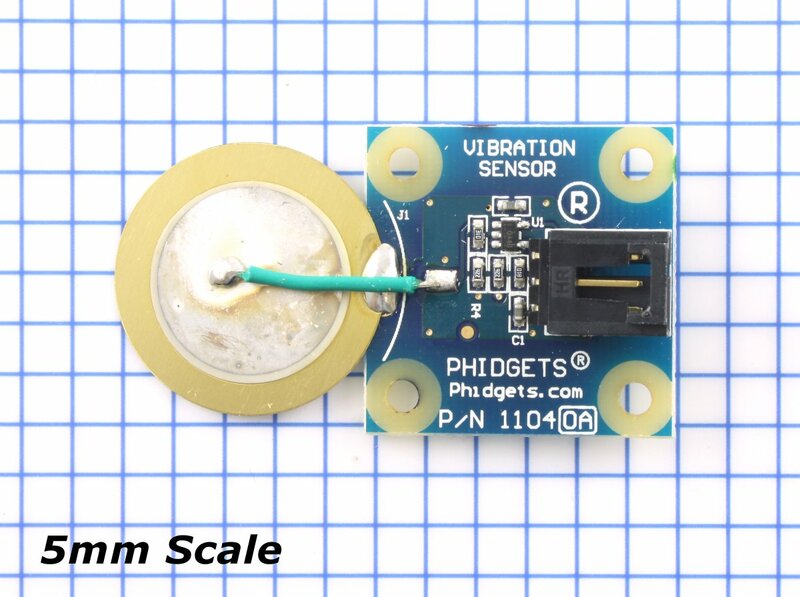 It is sensitive enough to measure vibration and is more durable than a piezoelectric vibration sensor. 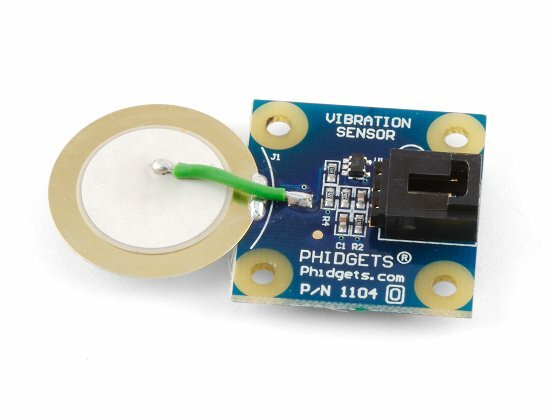 This sensor buffers a piezoelectric transducer. As the transducer is displaced from the mechanical neutral axis, bending creates strain within the piezoelectric element and generates voltages. 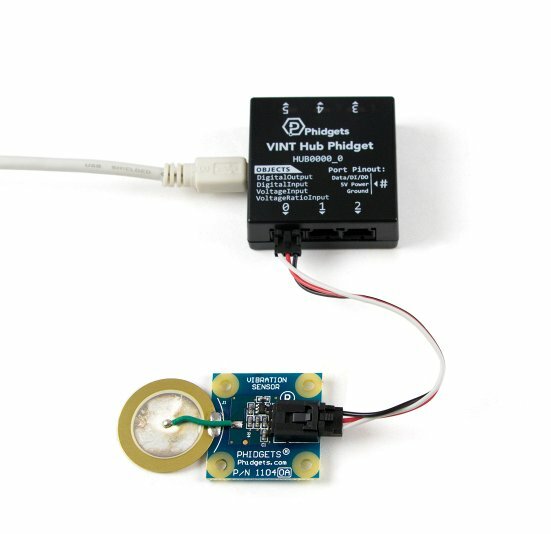 If the assembly is supported by its mounting points and left to vibrate “in free space” the device will behave as a form of vibration sensor. The sensing element should not be treated as a flexible switch, and is not intended to be bent. 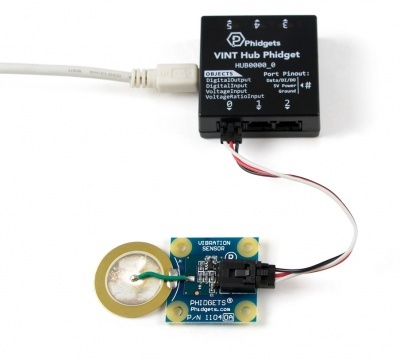 Connect the 1104 to the HUB0000 with the Phidget cable. Now that you have everything together, let's start using the 1104! 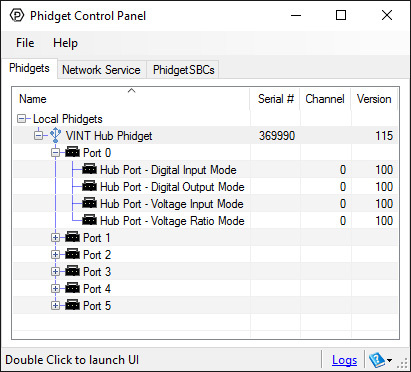 In order to demonstrate the functionality of the 1104, we will connect it to the HUB0000, and then run an example using the Phidget Control Panel on a Windows machine. Linux users can follow the getting started with Linux guide and continue reading here for more information about the 1104. 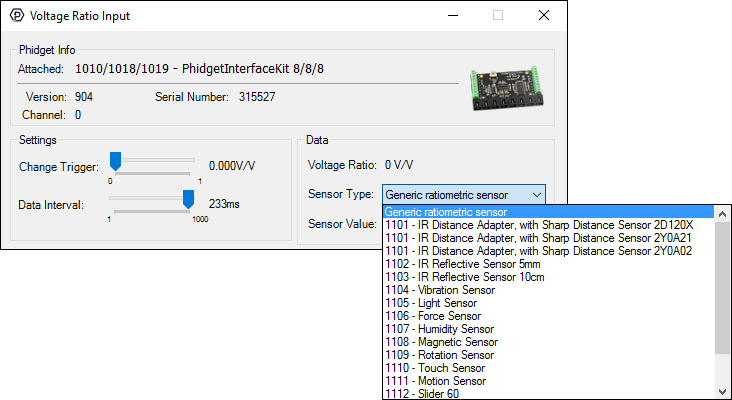 Select the 1104 from the Sensor Type drop-down menu. The Sensor Value will now return a value between -1 and 1. The 1104 buffers a piezoelectric transducer. As the transducer is displaced from the mechanical neutral axis, bending creates strain within the piezoelectric element and generates voltages. 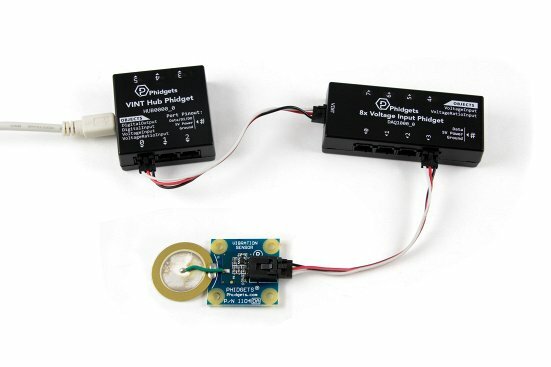 If the assembly is supported by its mounting points and left to vibrate in free space the device will behave as a form of vibration sensor. The sensing element should not be treated as a flexible switch, and is not intended to be bent. A voltage ratio of 0.5 roughly corresponds to 0g acceleration. 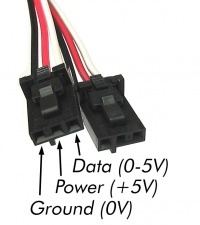 Acceleration will deflect the sensing element up or down, causing the voltage ratio to swing either way. This sensor is not meant to measure precise acceleration and vibration - use it to detect an acceleration impulse, or the presence of vibrations.